Well, I’ve caught up on all the post-processing and it’s the last week before the Christmas break so I thought now would be as good a time as any to post a belated Travel Postcard from my summer holiday in Suffolk! 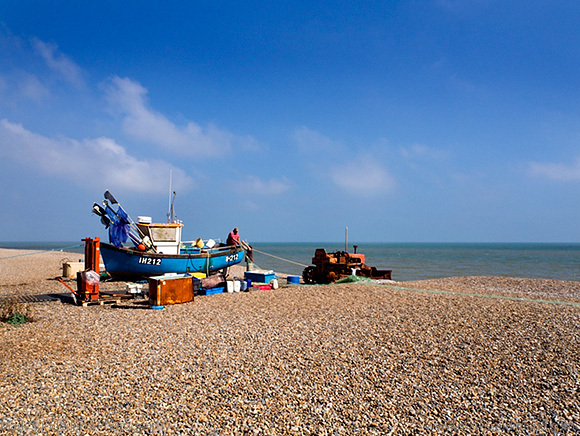 We were based in Aldeburgh on the lovely Suffolk coast and for our first full day there we had a morning boat trip on the Alde in mind followed by the walk up the coast to Thorpeness in the afternoon. 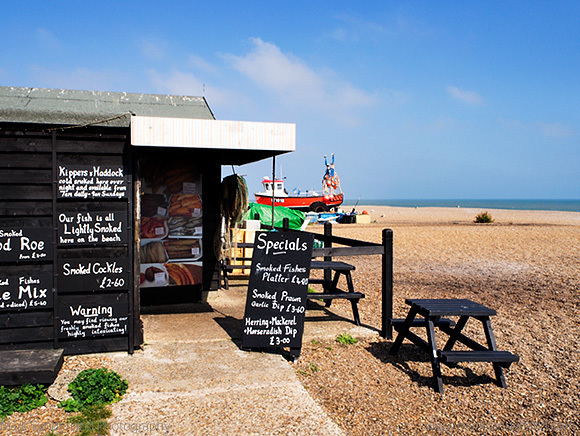 But, first things first, after breakfast we headed down to the fish huts at the beach and purchased a fresh sea bass for tea. We had the fish cleaned and descaled and nothing went to waste as an army of seagulls arrived immediately to clean up any scraps. With the fish safely in the fridge back at the cottage we set off in the other direction across the allotments bursting with late summer produce and out across the marshes toward Slaughden Quay, gathering blackberries from the brambles that lined the path along the way. There was little happening on the boat front at the quay, so we had coffee nearby and returned to discover that the boat wasn’t going out until after lunch due to the extremely low tide! 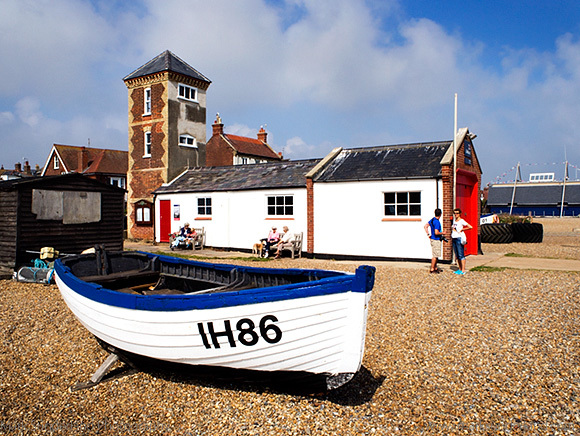 This gave us some more time to explore the centre or town and along the seafront to the fabulous Moot Hall which houses the Aldeburgh Museum. 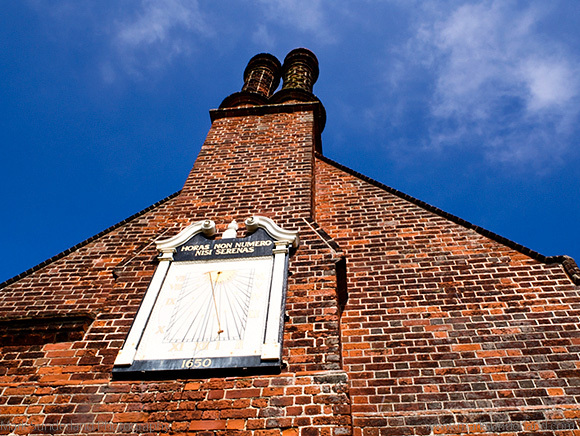 The building features a sundial on the chimney stack bearing the Latin motto ‘horas non numero nisi serenas’ which means (roughly) ‘I don’t count the hours unless they’re tranquil’ – or the better translation ‘I only count the sunny hours’. Fortunately it was a glorious sunny day for us, so all the hours counted. 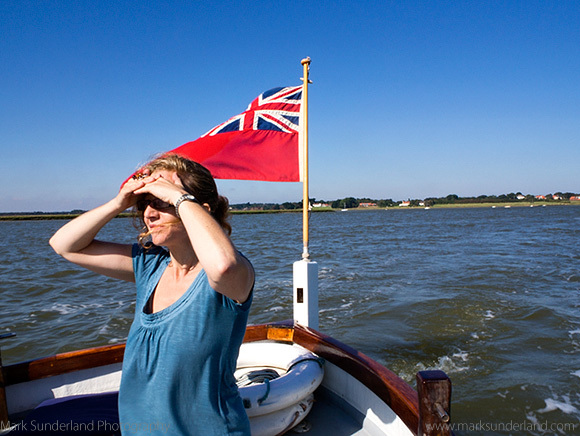 After a picnic lunch we headed back to Slaughden Quay and boarded the Sandpiper for a pleasant and informative hour long cruise up the Alde estuary. We were joined in the boat by a family with a lovely old dog called Pig! 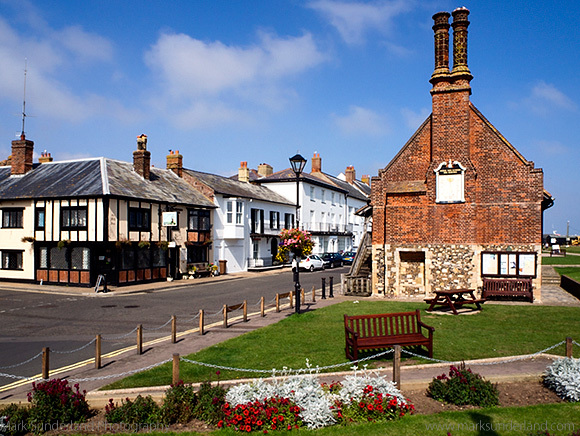 We returned to the centre of town after the boat trip and, despite it now getting well into the afternoon, set off on our walk toward Thorpeness, following the shingle past beached fishing boats and the Moot Hall again and the fantastic Scallop sculpture. 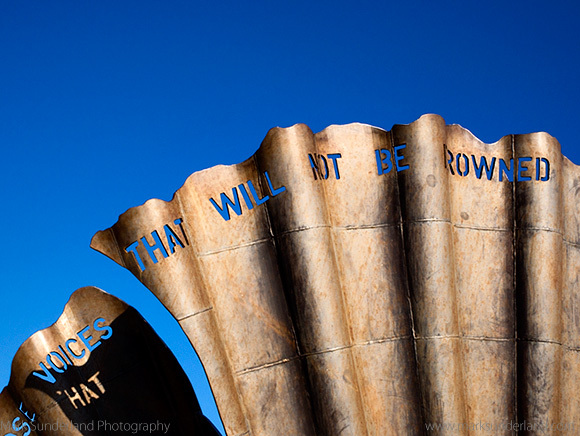 The sculpture is a memorial to Benjamin Britten by Maggi Hambling and features the words ‘I Hear Those Voices That Will Not Be Drowned’ taken from Montagu Slater’s libretto for Benjamin Britten’s opera Peter Grimes, inspired by poetry by George Crabbe. I’d been up early and down to the Scallop for sunrise to get some photographs of it against the sunrise over the sea, so it was nice to have another look in the daylight. 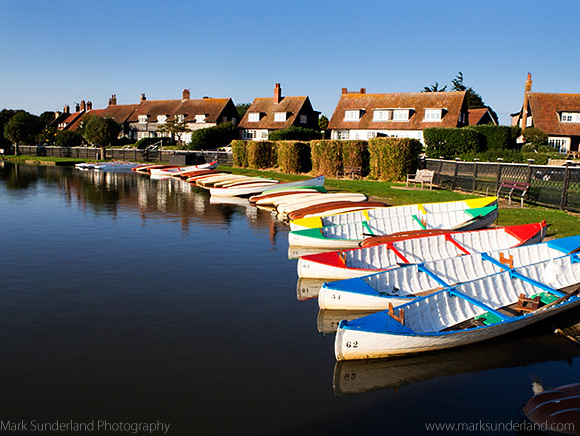 We continued along the coast arriving at Thorpeness at the end of the afternoon, having a well earned rest by the Meare with its colourful boats. 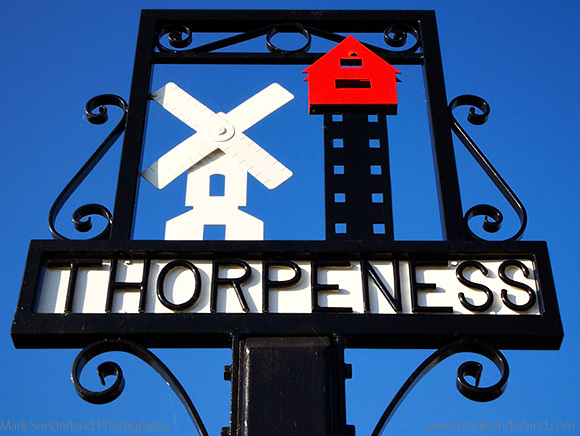 The Thorpeness sign on the village green indicated two local landmarks which are worth a closer look. These were opposite each other on either side of the path as we set off on our return walk. 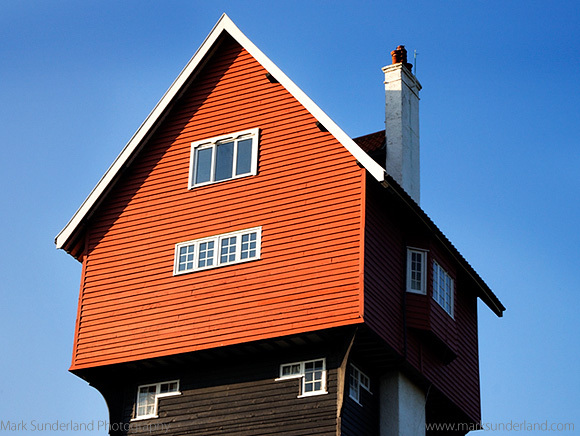 The House in the Clouds is a converted water tower now used as holiday accommodation and looked splendid against the blue sky in the early evening sunshine. 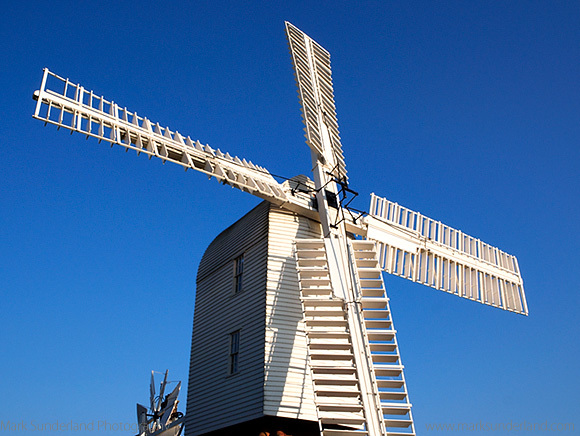 The lovely wooden windmill is a former corn mill that was later converted to a windpump for the water tower. It’s now in private ownership and was undergoing some renovation on our visit. From the windmill we carried on to the old railway line for the walk back to Aldeburgh where we were ready for our delicious baked sea bass! We travelled with East Coast to Peterborough and Greater Anglia trains to Saxmundham where regular buses run to Aldeburgh (operated by First Norfolk and Suffolk). All of the images in this post were taken with an Olympus OM-D E-M10 and 14-42mm lens.